Pop Up Shop in West Elm on Broadway! 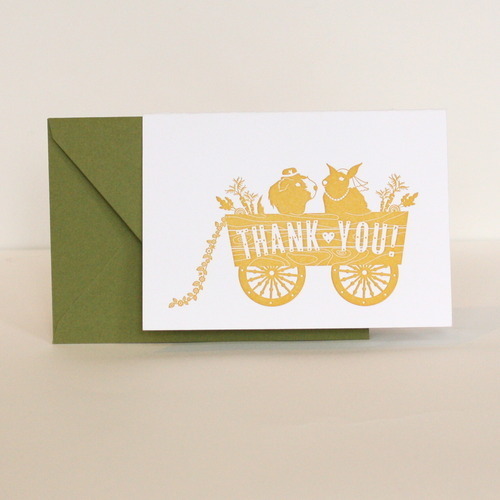 I am excited that Foxy & Winston is part of a great giveaway thanks to the gang at My Olive Box My sweet letterpress printed Hippo Birthday Card is just one of the cards that the winners receive in their Olive Box! I get to choose one of the lucky winners and am going to be choosing mine over on Facebook this week, so don't forget to check it out! Been a bit too busy of late to post any news, so will simply catch up with some photo galleries of the new things we have been making around here - starting with some festive Robin and Popinjay Wreath flour sack towels that actually make pretty sweet occasional tablecloths for the season! They are made of 100% cotton in the USA and printed here in Brooklyn. They are just $15 each as our Holiday Special this year. So snap them up right HERE, I only made a hundred! 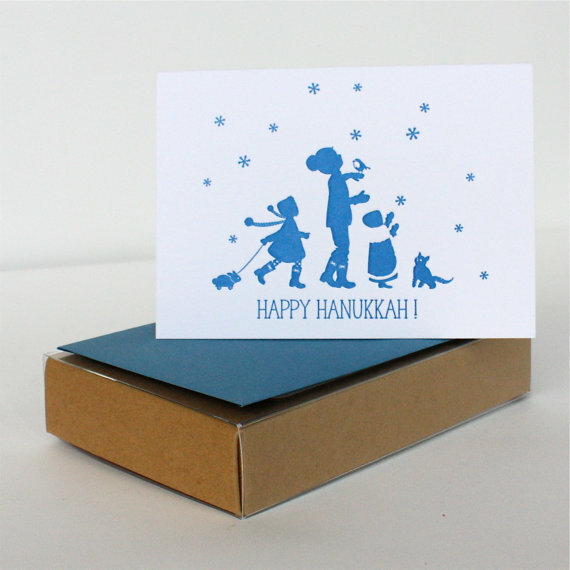 This year Hanukkah begins on Thanksgiving so this years cards are already on sale! If anyone is interested in bulk pricing for 50 cards or more Please feel free to contact me HERE for pricing. 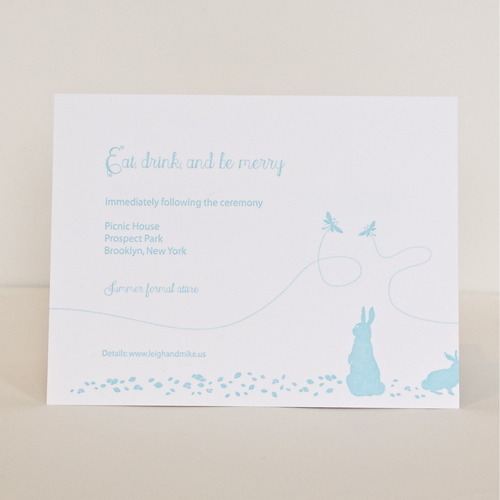 These cards are letterpress printed on snow white 100% cotton tree-free rag stock with royal blue ink. I only printed 200 so get 'em while you can! One of our lovely clients in Los Angeles, California, purchased 10 yards of our sweet Bunny Cotton Canvas Yardage, with plans to have an armchair upholstered earlier in the year. I was delighted to see the finished results when she kindly shared this photo with me last week. There is honestly nothing more satisfying than seeing the bunny I once drew and made into a pattern, come to life in some other bunny lover's lounge on the other side of the country. I'm thrilled Skinny! 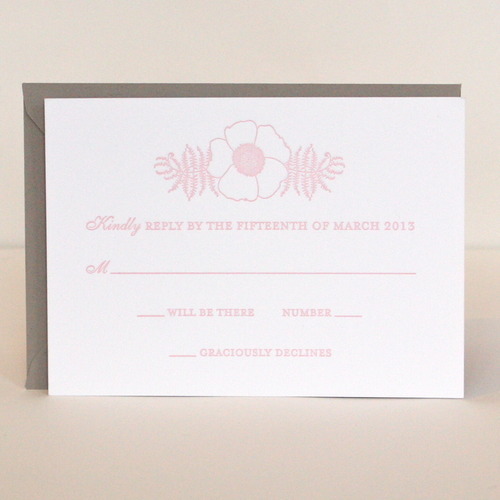 We've been busy Beavers this week creating sets of note cards with 6 fun new designs! Hope you all have a wonderful weekend, we are off camping to Cold Spring with Hope the Beagle and our camping pals Scott and Brandon and cannot wait for a swim in the Lake! The family was excited to welcome their new baby to their apartment building (see the tiny balloon!) 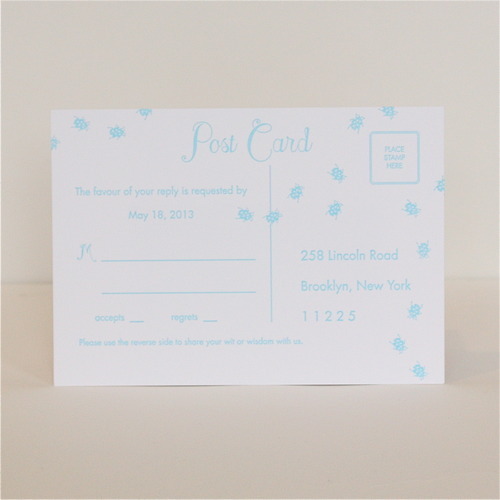 surrounded by a typical Brooklyn scene complete with pear trees, popinjays and a variety of critters. 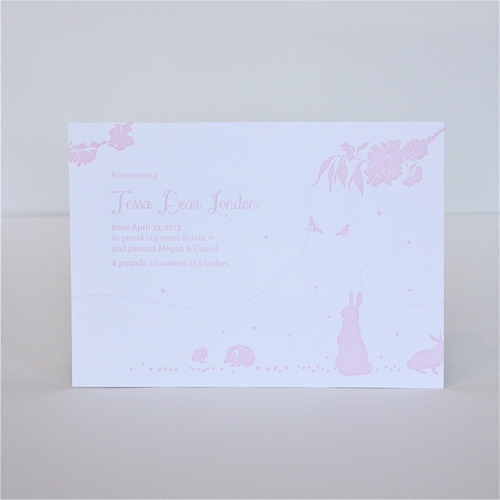 Gold and watermelon ink on pearl white Crane's Lettra for this sweet bunny and bear. 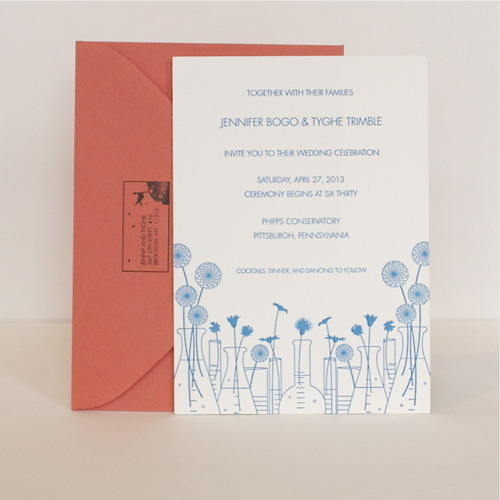 Pumpkin and espresso ink on pearl white Crane's Lettra cotton rag stock. 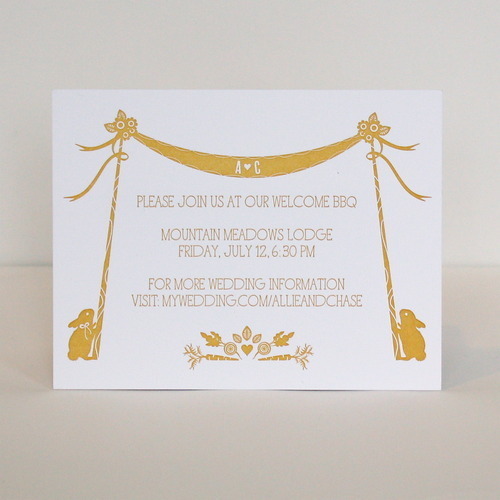 This fall wedding in the mountains of Vermont comes with maple trees, moose, and a fox, to name but a few. This past week we got a new, huge delivery of Sweater Toys by one of our favorite local makers Caitlin Wicker. Each critter is lovingly handmade from re-purposed, soft as can be sweaters and has its own sweet name tag. The Whale, Hammerhead (did you know it's Shark week?!) and Squid Rattles are her latest adorable product - made of the softest organic cotton and completely machine washable! Things here at Foxy & Winston are winding down for the Summer and we are now on hiatus from the Brooklyn Flea until September 7th - taking some time..
All sorts has been been happening here at Foxy HQ. 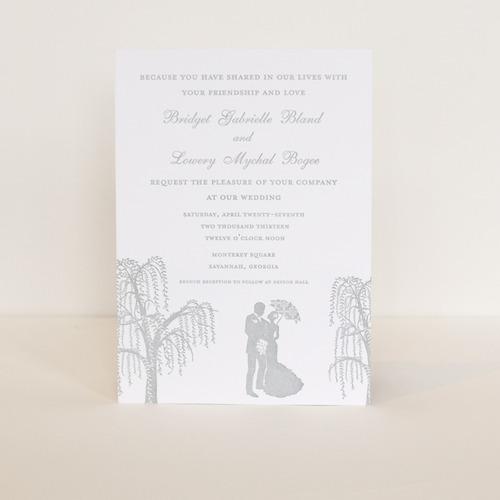 Firstly, after a year as Studio Director, our pal Jessica has moved onto pastures new and I wish her all the luck in the world with her new post in the Stationery Dept. at Tiffany & Co. Hope and I will miss her madly! Meanwhile, apart from working on new textile and stationery designs, I have been painting and fixing up the shop after almost four years in business here in Red Hook. Simon and I have also taken time out to go away with pals. Highlights so far have been this Motel in Phoenicia, NY and camping at Wildwood State Park on the Long Island Sound, which we do EVERY year! This week saw the arrival of a new line at Foxy & Winston: Decomposition Books by Michael Roger. These guys are local to Red Hook and have been in business making their sweet notebooks and journals (now 100% PC Recycled) since 1949! 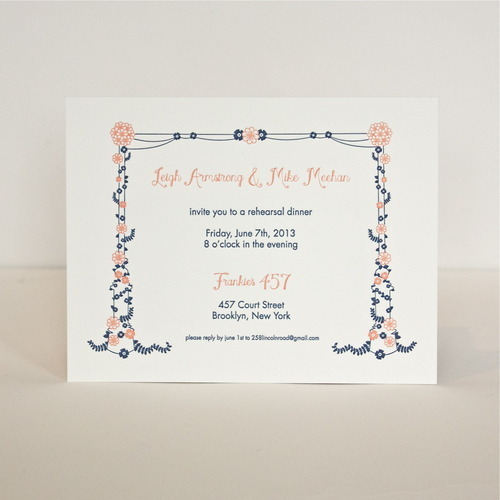 They are a great deal at just $6-9 and come in a variety of styles. In other news we are having a Foxy Textile SECONDS CLEARANCE SALE at the shop over the next few weeks with prices ranging from $8 to $25. Napkins, Towels, Totes, Aprons and Cushions. All must go!! Recently, I had the pleasure of spending an afternoon in Dumbo with a group of extremely crafty girls, Janet and Katie from For the Makers , jewelry designer Deborah Rice and Jen and Kena; the founders of BRIKA. We learned how to make silk floral accessories, using supplies from one of New York's oldest and largest institution's called M&S Schmalberg. This sweet film was created by documentary filmmaker Alex Budman. Thanks ladies for a fun afternoon! 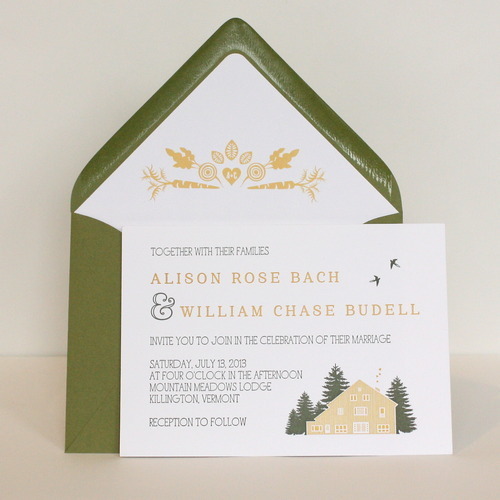 As usual, we have some great clients. 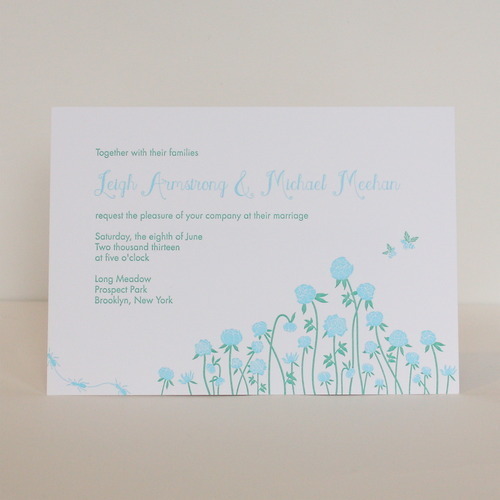 That means new wedding invitations to share with you! A note: click on the image to scroll through our new pictures. Enjoy! 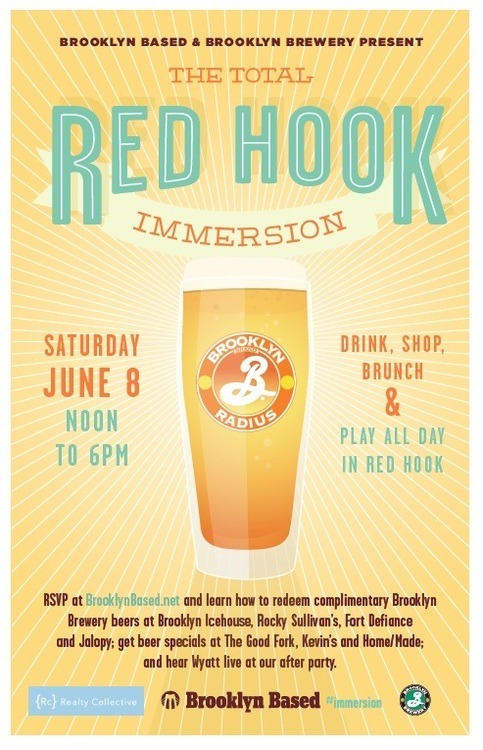 This year marks the 4th year for Total Red Hook Immersion day. Please come down and enjoy the neighborhood while taking advantage of a few perks at the shop. Everything will be 15% off for the day! Stop on by! Oh boy, this is a good one. 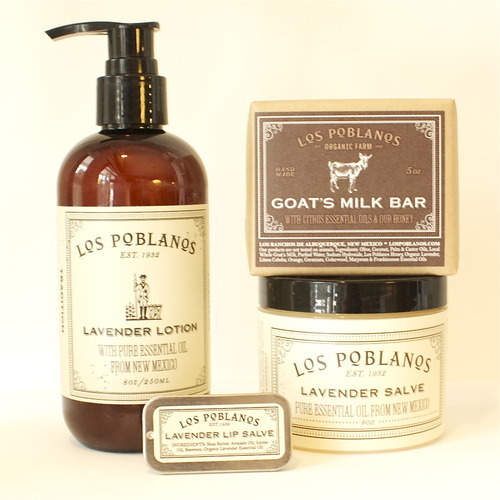 Just arrived, the most beautiful smelling salves a girl could ask for…and a few things for the boys as well! 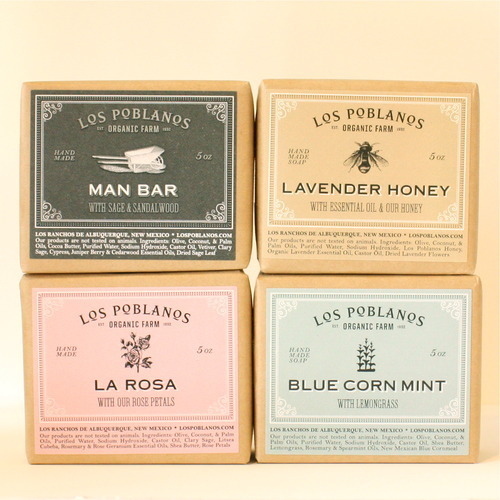 Los Poblanos comes to us from a New Mexican lavender farm. Stop in and enjoy! 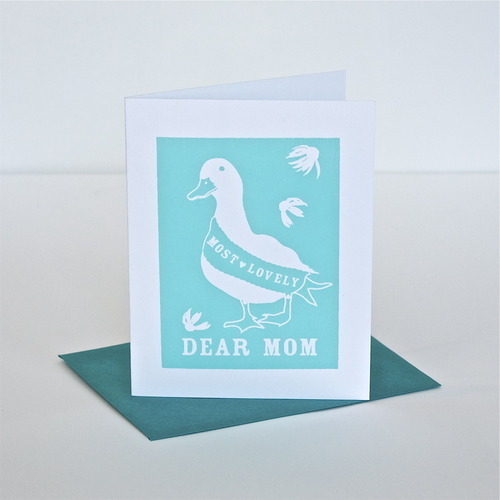 Hello ducklings…have you remembered your Mother’s Day gift for Sunday? We’ve got lots of nice things in stock for your Mum, Grandmother or Baby Mama. Here’s a few things you’ll find in the shop this weekend! 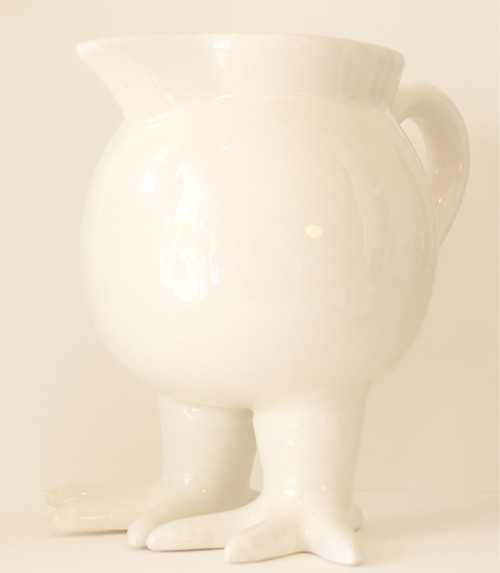 A lovely creamer with chicken feet! 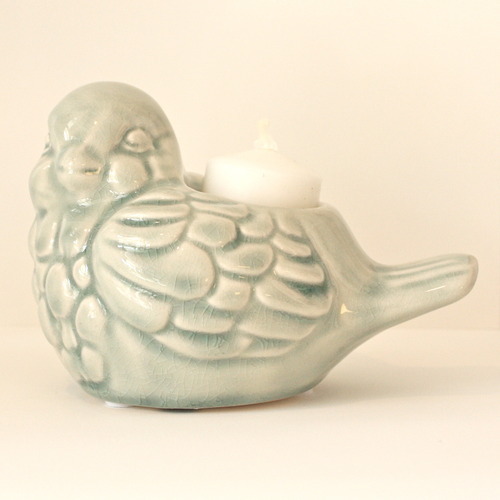 An adorable bird tea light! 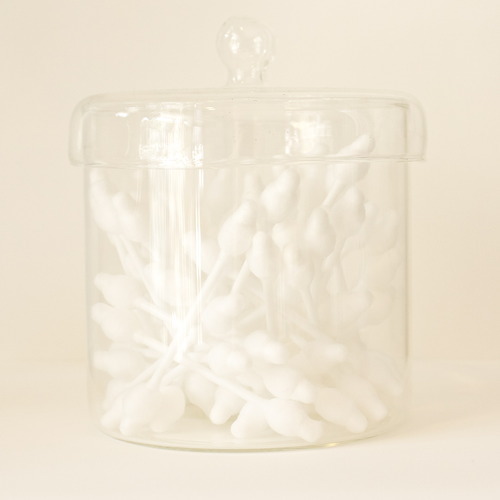 A glass jar for her washroom! 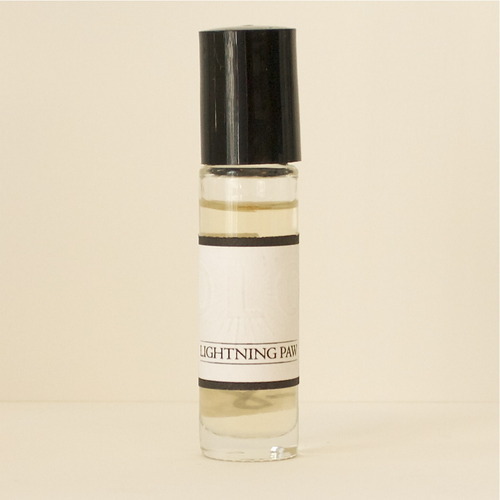 Our favorite Olo Fragrance (Lightening Paw)! 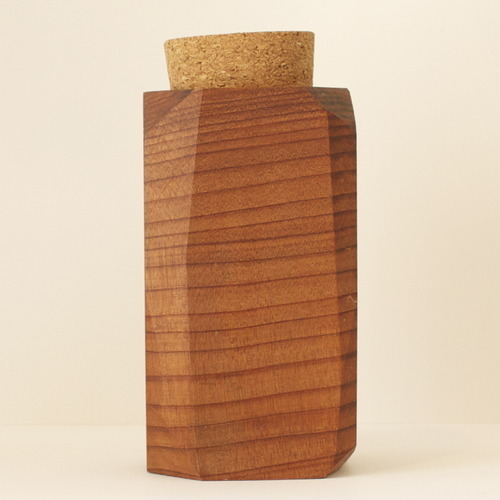 A container made from Redwood by Caravan Pacific! 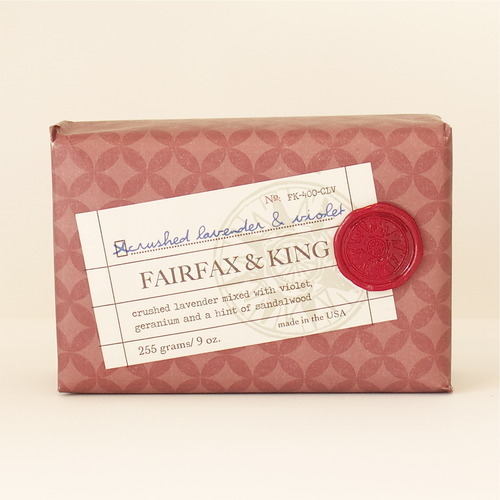 A fragrant soap from Fairfax & King! 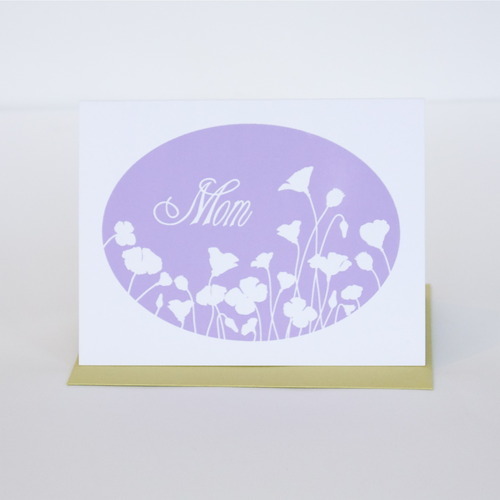 Mother’s Day is swiftly approaching! 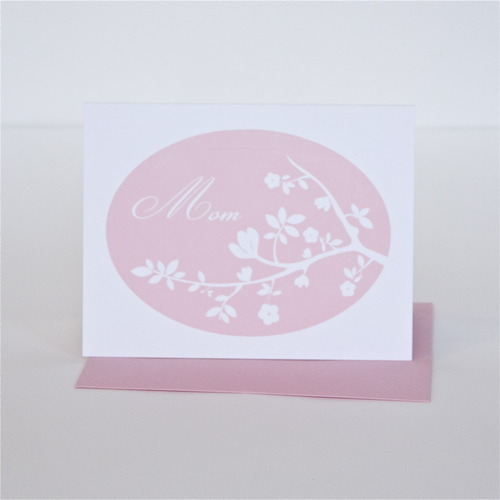 Do you have a Mother’s Day card for your Mom? We’ve got some lovely silkscreen cards for sale in the shop and online and will have additional letterpress ones available next week! And speaking of mothers, we thought it would be a nice time to share this adorable birth announcement for Tessa Dear…isn’t it sweet? 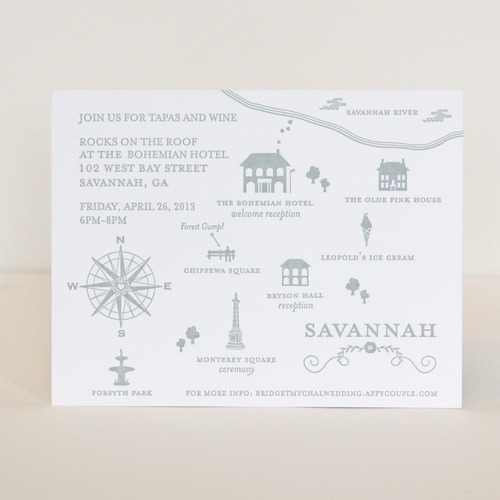 We’ve been busy working on lots of new custom work…take a peek! Do you love them as much as we do?